Business description - Arvee Laboratories started its work by trading in specialty chemicals by getting manufacturing done on job work basis from Skylead Chemicals Limited and Skylink Chemicals Private Limited. On April 20, 2013, the company bought land, building and machineries from Skylink Chemicals Private Limited which was engaged in manufacturing of specialty chemicals. Since 2013, Arvee Laboratories has been making additions to its plant & machinery, expanding capacities and modernizing its building. 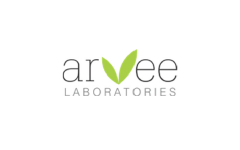 Arvee Laboratories IPO allotment status is now available on Bigshare Services' website. Click on this link to get allotment status. Same like Medico; no hopes from this pharma IPO too …………..